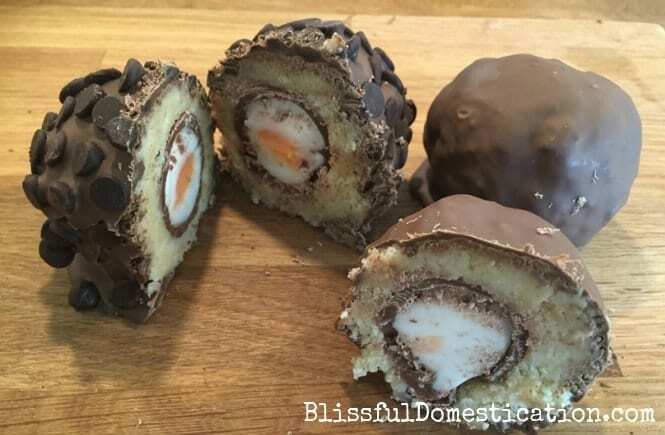 This is my version of Chocolate Scotch Eggs, and with plenty of creme eggs around this time of year it’s the perfect excuse to make them. They didn’t turn out quite as pretty as I would have liked them too, but they were yummy! They were also quite messy to make. However creme egg, covered in cake, covered in chocolate- need I say more! 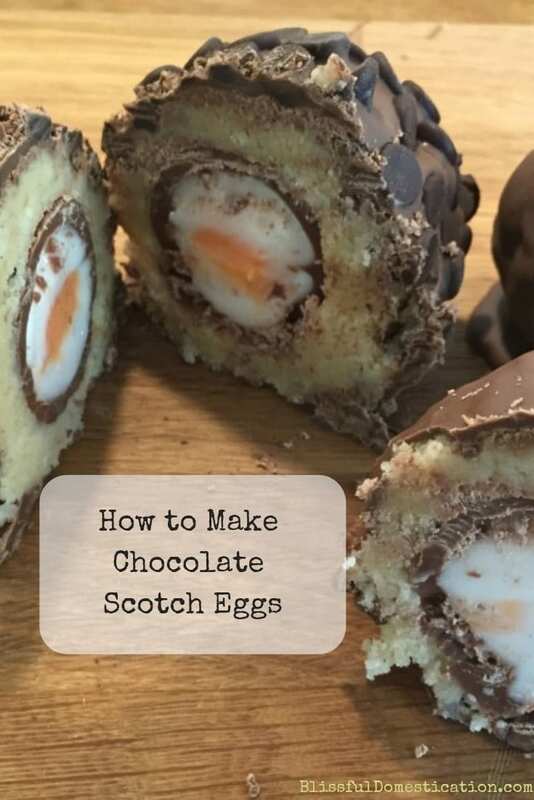 If you would like to see how I made our Chocolate Scotch Eggs then read on, or you could pin it for later! 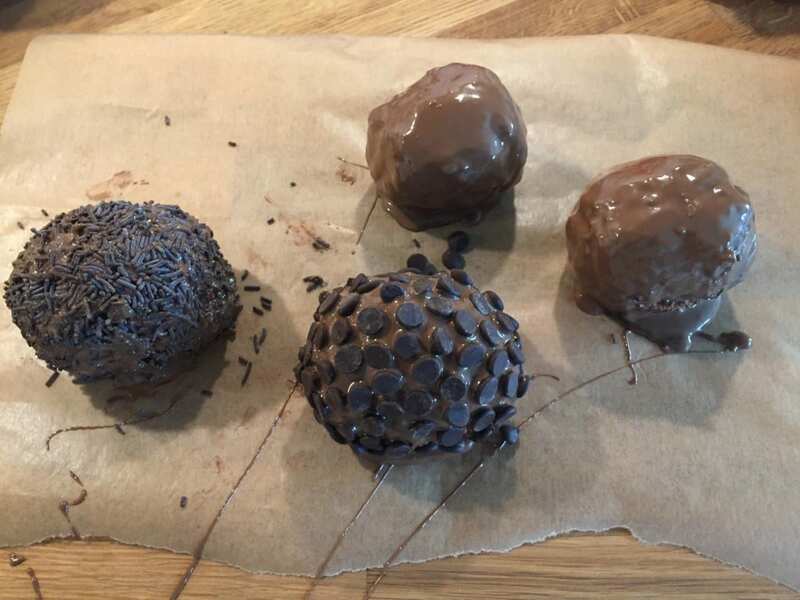 Pin Chocolate Scotch Eggs For Later! Make and bake your sponge cake, and allow it too cool completely. Any sponge will do, but I use the same recipe as I do for my cupcakes, but I just halve the mixture (click here for the recipe). 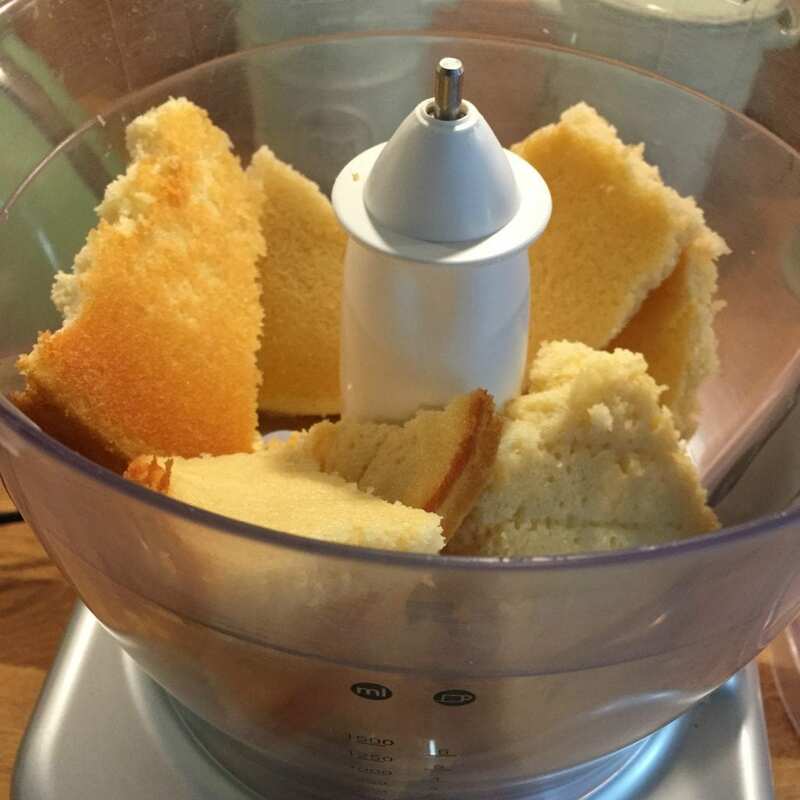 Break the sponge up into pieces and put into a food processor and pulse until cake crumbs. Put the cake crumbs in a bowl to one side. 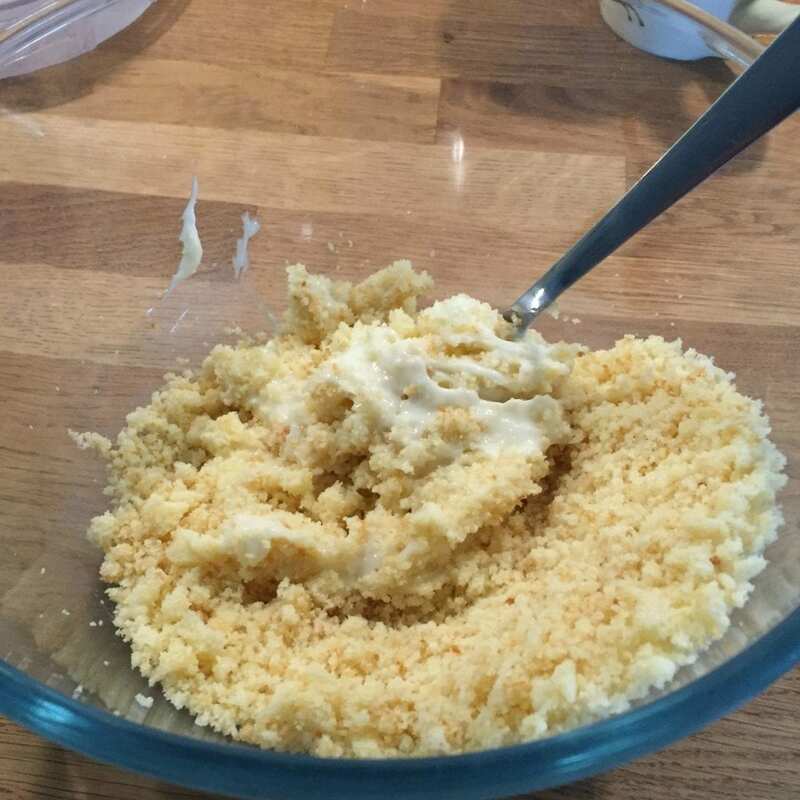 Mix the cream cheese and icing sugar in the food processor to make a cream cheese frosting, and add this to the bowl of cake crumbs. Mix first with a wooden spoon and then with your hands until it forms a ball. 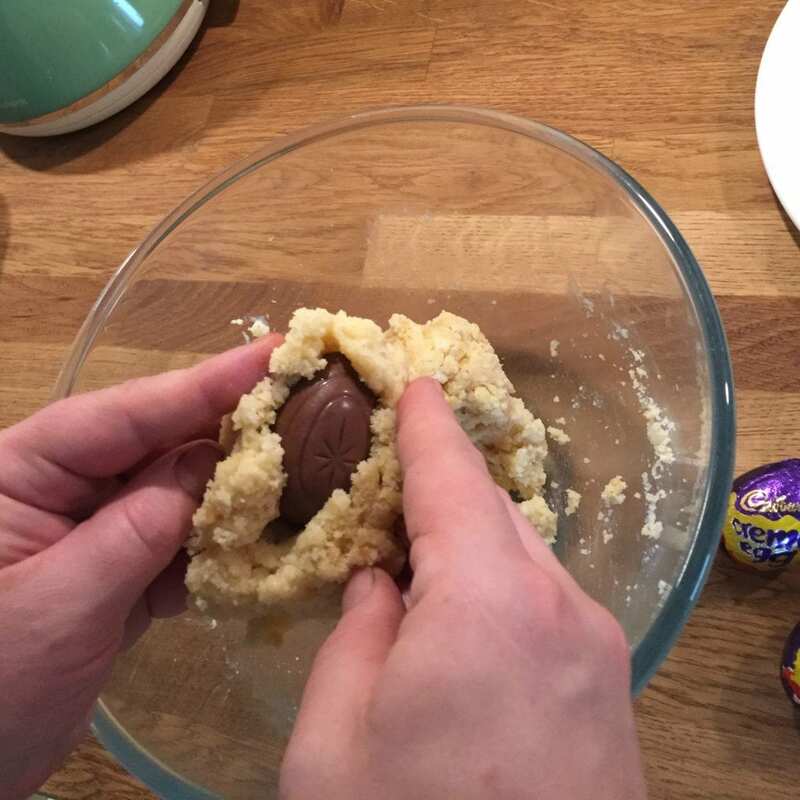 Use a 1/4 of the mixture and mold around a creme egg. Repeat until all 4 are down. Melt 200g of chocolate. 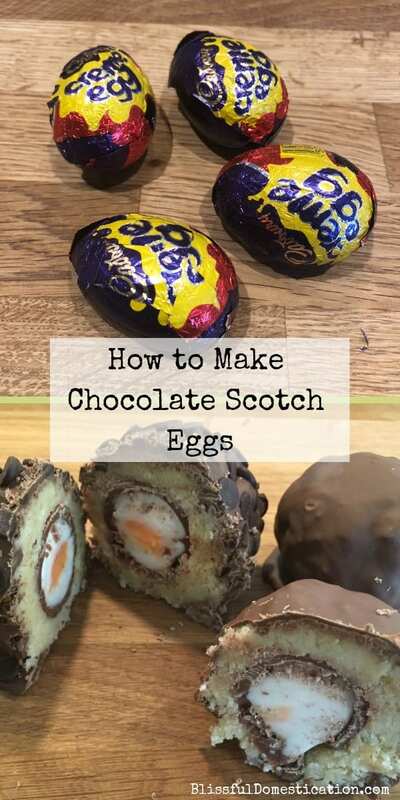 You actually probably need half that amount, but covering the eggs with the melted chocolate is difficult enough without having to scrape the bottom of the bowl! Now the tricky part, covering the eggs in chocolate. 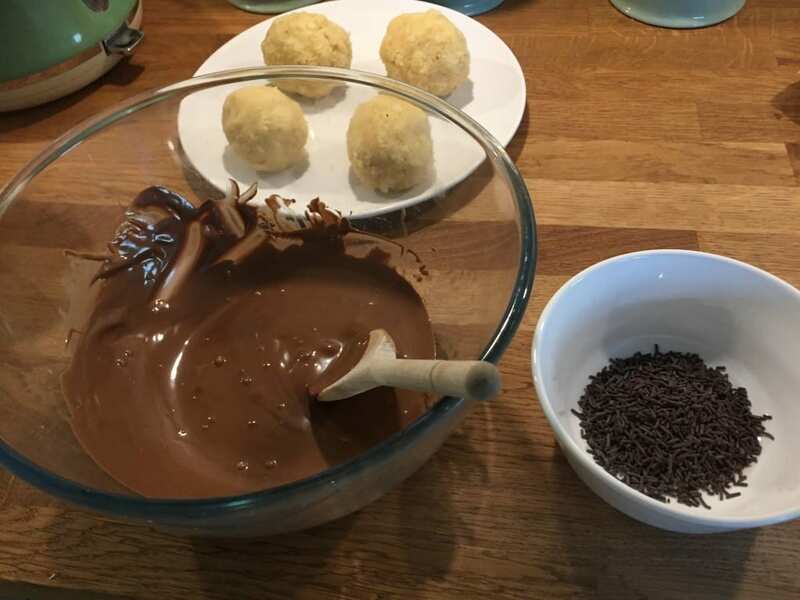 I found the best way was to firstly make sure the chocolate wasn’t too hot, and then place the cake covered egg into the bowl of melted chocolate and turn to cover with 2 wooden spoons. Once covered in chocolate place on a tray lined with greaseproof paper and add decorations as you wish. 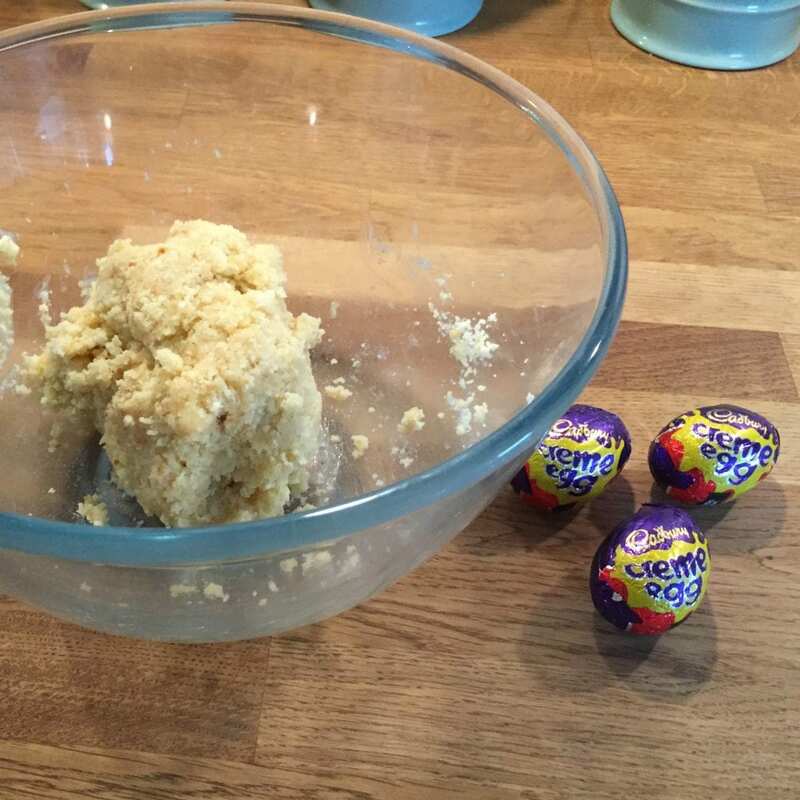 I thought the chocolate sprinkles were the most effective but I only had enough for 1 egg. Chocolate chips also worked well but were a little less messy to use. Refrigerate until set and enjoy your chocolate scotch eggs! They didn’t turn out as pretty as I would have liked, but creme egg covered in cake, covered in chocolate, what’s not to like! They look yummy! 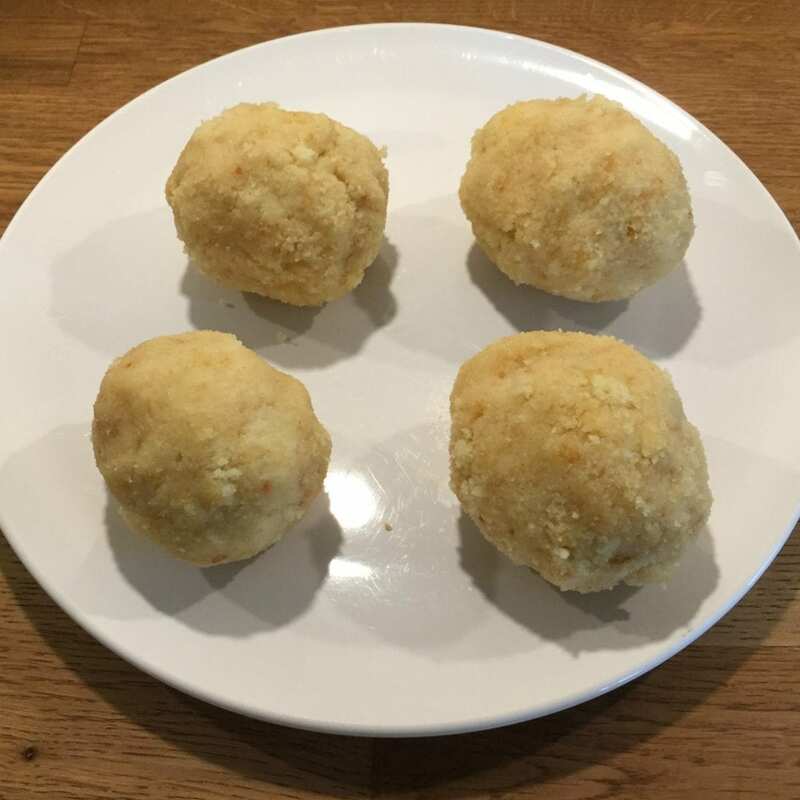 I love that the recipe is endlessly adaptable, you could use any cake flavour and any kind of filled egg or make them bite sized (not sure you would want to!) with mini eggs! Love this idea and now I have to make hubby some!! These look fabulous, but I shall need to find some other filled eggs, as I think I am the only person in the world who dislikes creme eggs. Wow, think you might be unique in not liking cream eggs! Wow these look amazing!!! I’m definitely bookmarking these. Cream eggs are one of my favourite things.